Last month I got to make way back to Alt Summit for the second time! It was back in sunny Palm Springs at the colorful Saguaro Hotel. This time around I decided to schedule photo shoots with women who need content for their platforms or a new head shot. During the three days I was there, I had fifteen photo shoots! 😱 It was pretty crazy, but I loved every minute of it. I'll be sharing a few faves spread across blog posts, so you don't get overwhelmed. Amanda Nowak from The Simple Home. Hail Nowak from All Hail Design. Hail and I actually interned together at Disneyland a few years ago, so it was a major treat to create some fun imagery with her! Kachet Jackson from The Kachet Life. Kara from Fabulistas. She actually saw me photographing another person and asked if we could schedule a photo shoot. It was totally last minute, but I love these images! Katie Miller form The KT Miller. Kristen Poissant and her girls from the Creative Clique: Stass from The Identite Collective, Tierra Wilson, Cass from The Girl Brand, and Christina from By Stina Faye. Laura Witting from The Brightly Co. 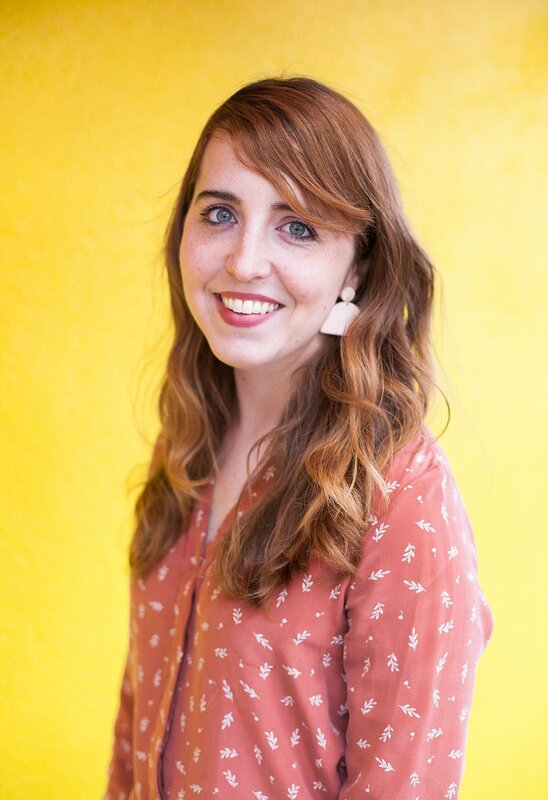 I actually met Laura last year at Alt Summit and now work with her on the design side of things at The Brightly Co! Lindsay Glatz a photographer from New Orleans! I LOVED how everyone embraced color and the Palm Springs lifestyle in their own way. This is only the half of the bunch, so I'll be sharing more soon!